Imagine you have just moved to a newly constructed property and within few weeks you notice your bathroom tiles and toilet seats tainted with yellow stains, your body starts to feel dry and itchy, your otherwise soft shiny hair get infested with dry scalp and your appliances begin to build up limescale. This situation is very common and happens because the region gets hard water supply. The issues that are mentioned are extremely troublesome since they affect your household on a daily basis. Unfortunately, all of these issues stem from the domestic use of water, something that you cannot avoid. 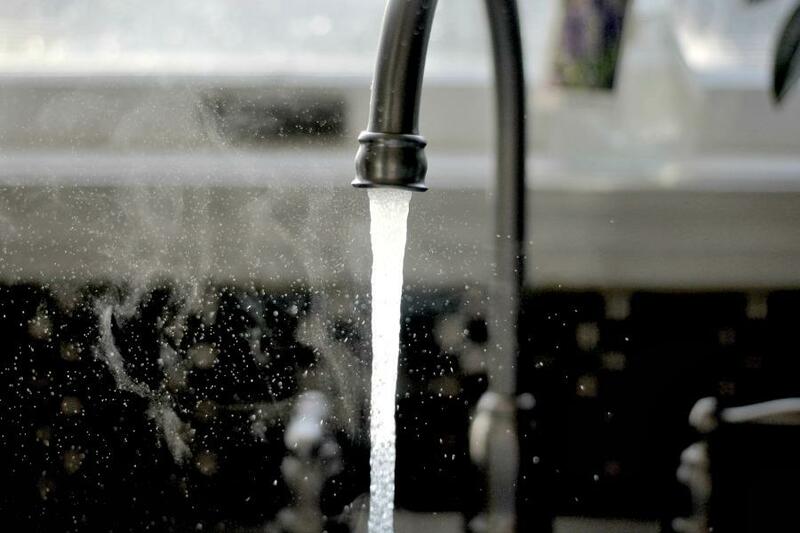 A lot of areas get hard water in their supply that unlike normal water, causes damage to whatever comes in contact with it and is responsive to water. Hard water is referred to highly mineralized water that has a high content of calcium and magnesium ions. These excess ions harden the water and a result it begins to cause problems for its consumers. Although you cannot do much to avoid having hard water in your pipelines unless you move to another location, you can still save yourself from a lot of trouble by installing a water softener in your house. A water softener is an equipment that is designed to eliminate excess minerals such as salt, iron, calcium and magnesium and filter and soften the water so that it is fit for consumption without causing trouble to you or your assets. There is a large variety of water softeners available in the market today and you can choose one for yourself after doing some research and reading reviews of water softeners. If you are confused and are unable to decide if you even need a water softener, here are a few reasons to convince you. Do you frequently notice scale building up in your electric kettles, dishwasher, sterilizers and other such appliances despite that you clean them regularly? If yes, your appliances are most probably affected by hard water. Limescale tends to build up in the steel plates of electronic appliances and clogs plumbing pipes because of the calcium and magnesium bicarbonate deposits in these places. As a result, you will find yourself struggling to descale your appliances every other day. Hard water makes your skin dry and flaky. Imagine, every time you wear your favorite foundation, it turns patchy. It also results in itchy skin, itchy scalp and kills the shine of your hair. In extreme cases, dandruff and skin infections will be a common issue in your household. The high mineral ions cause your skin and hair to go dry. This can easily be dealt with by installing a water softener in your house. Even the most sophisticatedly designed bathroom will look ugly if the sinks and bathtubs are stained and the toilet bowl will have yellow patches tainting it. If your house gets a hard water supply, no amount of scrubbing and cleaning agent will help you get rid of those ugly stains on your tiles. The only way to get rid of this problem is to use a softening equipment to eliminate hard water so that your bathroom can go back to being spotless. This is some really good information about water softeners. It is good to know that water softeners can help with dry skin. That is a good thing for me to know because my best friend has extremely dry skin. I have noticed that my skin has been drying out more than usual lately. I grew up with a water softener and I love the way it made my skin feel. It is hard to adjust not having it, and I might just invest in one. Wow, I sure didn’t know that hard water makes your skin dry and flaky. My son has been complaining about dry skin, and my wife already gave him all the drugstore moisturizers that she could get her hands on. I’ll definitely share this article with my wife so we can talk about getting a water softener installed on our home. I’m glad that you explain how soft water is better for your skin and hair since it gets rid of high mineral ions that cause dryness. In order to get the best results, you’d probably want to research the different brands and models of water softeners to figure out which one works best. When choosing, you might want to consider the amount you use, the number of people in your home, as well as where you’ll install the system, so you can find something that works for your situation.